WORLD: The Saudi prince denies that he knows what happened to Jamal Khashoggi, a journalist critical of the Saudi government who is said to have been killed and dismembered by royal officials in Istanbul. Texas Rep. Beto O'Rourke accused his Republican opponent in the Texas Senate race, Sen. Ted Cruz, of dishonesty in their second debate. Channeling the president, O'Rourke got personal: “He’s dishonest, and it’s why the president called him Lyin’ Ted, and it’s why the nickname stuck — because it’s true." More from the New York Times. OF COURSE YOU DO, COMRADE! War is peace! Freedom is slavery! Ignorance is strength! So don't let those pesky thought criminals at Vox try to misguide you about "what really does and doesn’t matter for job satisfaction" based on alleged "evidence." 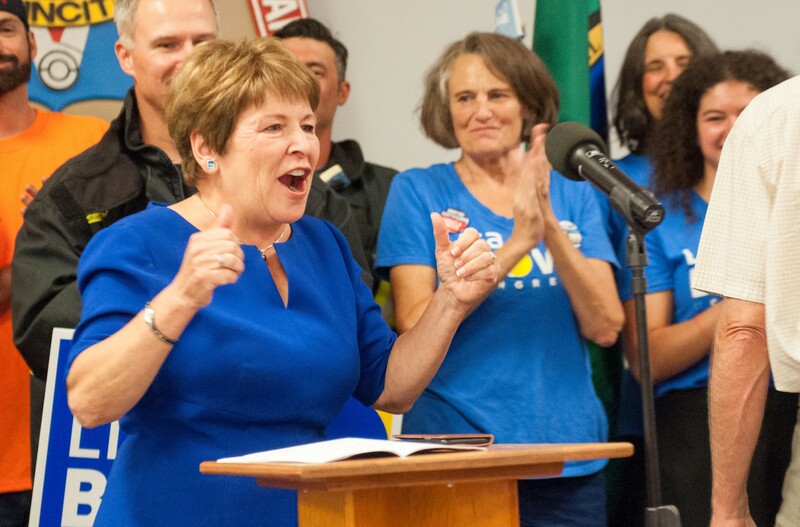 Washington's Democratic congressional candidates have apparently "overwhelmed" their Republican opponents in fundraising, according to the most recent Federal Election Commission filing, covering July 19 - Sept. 30. Democrats "Kim Schrier, Lisa Brown and Carolyn Long each doubled or tripled the fundraising hauls of their Republican rivals" the Seattle Times reports.